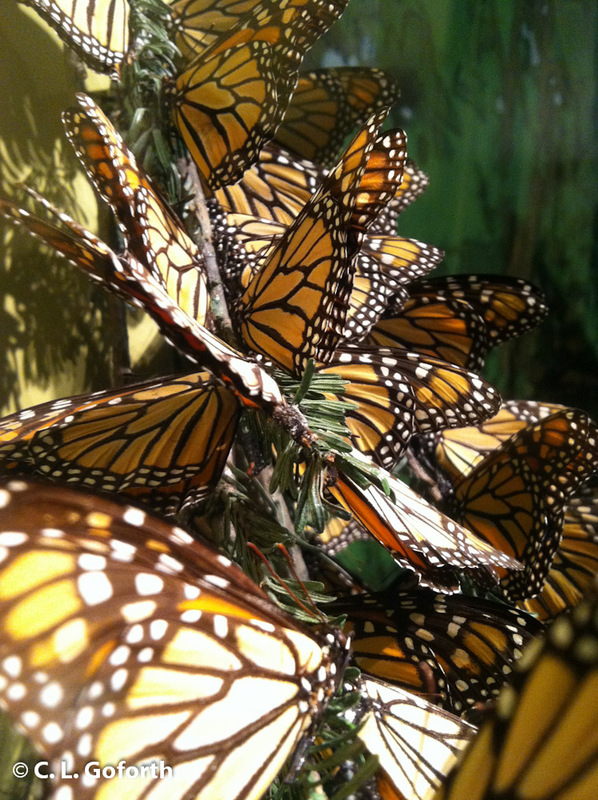 These aren’t live monarchs (which would be SO cool), but the exhibit is representative of what the overwintering sites in Mexico look like at this time of year. All those monarchs are sitting down there now, millions of them in the oyamel trees in only a handful of locations in Mexico. They’ll start heading north in a few short months. It’s such an amazing biological spectacle! I really hope I get to see the overwintering grounds in person someday. From all the photos and all the video I’ve ever seen of these places, I know it would be a life changing, miraculous experience that I would never forget. If you haven’t heard about it yet, there’s an IMAX 3D movie out now called Flight of the Butterflies that documents the annual migration of the monarchs. It is supposed to be superb, so I am hoping I’ll be able to catch it at the local IMAX theater before it is ousted in favor of something newer. Has anyone seen it yet? I’d love to hear some reviews if you have! Good luck with the report, but thanks for the Flight of the Butterflies heads up. Got anything on what we (in England) call woodlice ? Really? I LOVE the woodlice! Tuck and Roll are one of the best comedic elements of Bug’s Life. Hmm… Now I want to watch it again!